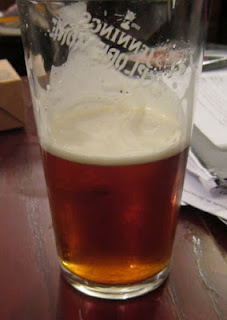 I've just completed Mild Magic, the annual event organised by Stockport and South Manchester CAMRA to promote mild ale. Since Robinsons of Stockport stopped brewing their two milds last year, Hydes have taken over sponsorship of the event. 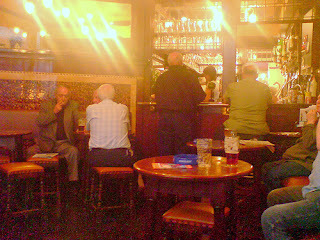 Hydes brew three milds: the light 1863, mid-brown Mild and dark Old Indie. 1. Your best chance of finding a pub selling mild is one tied to a regional family brewery, which in Manchester means Holt's and Hydes (I'm not sure about the availability of mild in those tied to the other independent in the Manchester area, J.W. Lees of Middleton). 2. For microbreweries, mild is a dark beer: the only light milds I've drunk have been from a regional brewery (Hydes) and a national one (Banks's). I saw quite a bit of the BBC's output marking the four hundredth anniversary of the death of William Shakespeare this weekend. I enjoyed watching the poet Ian McMillan brew a hopless Tudor ale and laughed at the programme guidance note for Arena's compilation of Shakespeare film clips which warned viewers that it contained adult themes. Well, yes, I thought, murder, adultery, the odd suicide or two. I didn't do any Shakespeare at school, a 1980's comprehensive, but did get taken to see some of his plays as a teenager by my English teacher Dad. Like many people, I struggled with some of the language and plots, but watching the live Shakespeare show from the RSC in Stratford on Saturday night I was surprised by how accessible and witty his work is. I suppose that's an appreciation which only comes with maturity. 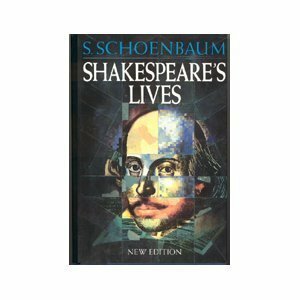 And of course, we all use Shakesperian expressions - "in my mind's eye", "melted into thin air", "wild goose chase", "pitched battle" - without even realising it. 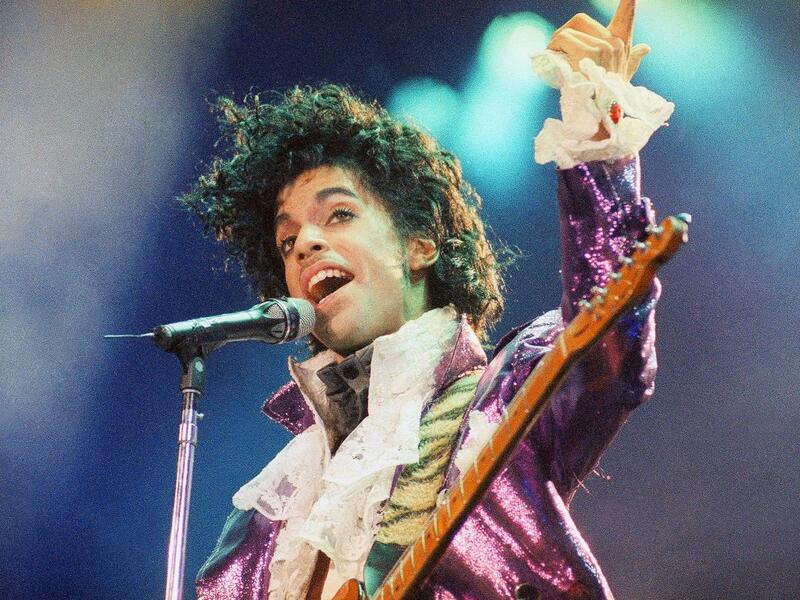 The singer Prince, who has died aged 57 at his home in Minnesota, drew on a number of musical genres as sources of inspiration. The son of a jazz musician, I'd guess he was influenced by that, as well as by funk and rock (his stage act always reminded me a bit of Jimi Hendrix's). As a teenager in the mid-80's, his songs were everywhere and appealed to me more than those of his contemporary and fellow African-American singer Michael Jackson who I always found overly produced and commercial. It's interesting how American popular music gets categorised, firstly by skin colour, with black performers tending to be called rhythm and blues artists when they'd be classed as rock or pop if they were white, and also African-American music itself, which is somewhat arbitrarily divided, generally by white critics, into secular (blues, jazz, soul, R&B) and religious music (spirituals, gospel), despite numerous artists spanning those sub-sets, including Ray Charles, Nina Simone, Etta James, Sister Rosetta Tharp and Aretha Franklin. There are also many examples of people from one genre influencing another, with clear similarities (and claims of plagiarism) between soul singer James Brown and blues harpist Junior Wells, and fusions such as soul-blues and jazz-rock. One of the funniest things I've ever read are the liner notes to Muddy Waters' Folk Singer album in which the producer Ralph Bass muses as to whether Perry Como is a soul singer! I've just watched the latest episode of Pubs That Built Britain, a new BBC2 series in which Dave Myers and Simon King, aka the Hairy Bikers, tour the country and discuss the history of pubs. Pubs and beer have featured quite a bit in the pair's travels around Europe and Asia and I also remember reading an interview with them a couple of years back in CAMRA's Beer magazine in which Dave reminisced about sipping a half of Cameron's in the snug of the local while doing his homework as a schoolboy in Barrow. Last night, they went to pubs in and around Manchester, including many I know well - the Briton's Protection and Peveril of the Peak in Manchester and the King's Arms and Star Inn in Salford - and to Robinson's Brewery in Stockport which I've been round a few times on tours. It's good that the BBC has produced a programme celebrating British beer and pubs, although I suspect they'll get more than a few complaints from the prohibitionists about it.